The proposed Research centre on Interactive media, Smart systems and Emerging Technologies (RISE) aims to become a Centre of Excellence and a hub across the three continents bordering Cyprus, facilitating thus the local scientific, technological, and economic growth of the region. It identifies the potential of Interactive Media to bring together several scientific areas, yielding applications in the priority areas of the Smart Specialisation Strategy of Cyprus. 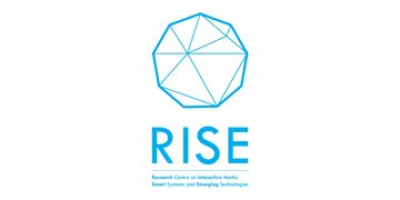 Therefore, research in RISE integrates the Visual Sciences, Human Factors and Design, and Communications and Artificial Intelligence, in a tight synergy that provides a unique interdisciplinary research perspective that emphasizes an “Inspired by Humans, Designed for Humans” philosophy.